In yet another move signalling just how much trouble the traditional music industry is in, Danger Mouse has called on fans to ignore his record company and download his new album for free. The US artist and producer - real name Brian Burton - had been ready for a conventional release of his new CD, Dark Night of the Soul, but fell foul of an unspecified dispute with slated distributor EMI, resulting in its apparent cancellation. 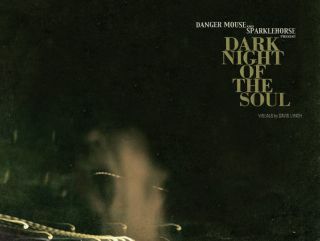 Now, Danger Mouse says he will release a limited-edition book of photos by filmmaker David Lynch instead, but will include a blank CD-R for fans, hoping they'll just burn their own copies. The fact that the music will have to be downloaded from a file-sharing site for free doesn't seem to bother the musician, who says he "hopes that people lucky enough to hear the music, by whatever means, are as excited by it as he is." A streaming preview of the album, featuring collaborations with Sparklehorse, Iggy Pop and Frank Black among others, is available on the US National Public Radio website.